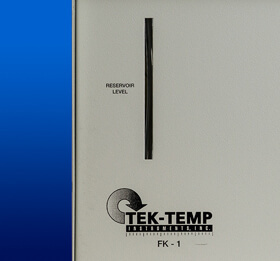 Tek-Temp Instruments’ new FK Series recirculating heat exchangers remove heat from process liquids directly to the ambient air by means of a radiator and fan. 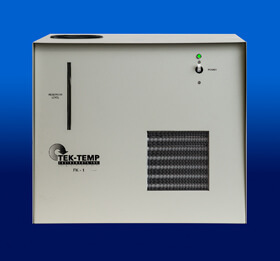 Ideal application conditions are when the desired circulating temperature is significantly higher than the ambient air temperature, and/or when the heat load is relatively small. 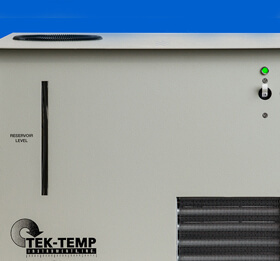 Cooling capacity is dependent on the process liquid flow rate, and the difference between the circulating and ambient temperatures. Positive displacement pumps are available and are rated for continuous operation.